Bufano, an assistant professor in Berklee’s Film Scoring Department, will document technology’s impact on circus music. 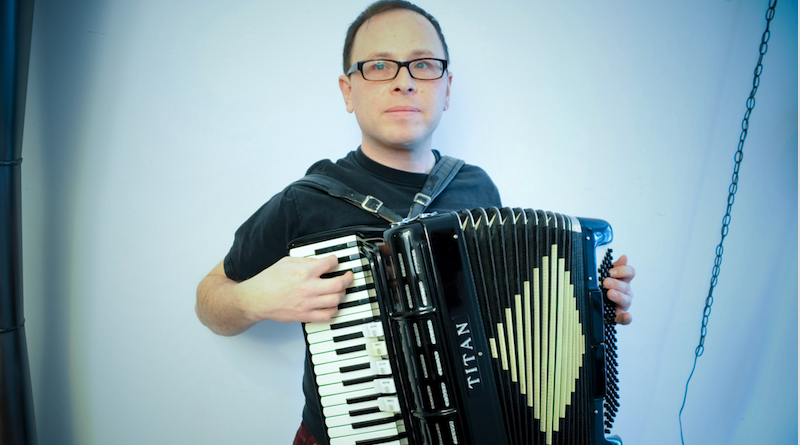 Peter Bufano, assistant professor in the Film Scoring Department and a composer and performer of circus music, has been awarded a 2018 Newbury Comics Faculty Fellowship. Created through the generosity of Mike and Laura Dreese, the fellowship supports Berklee faculty members in designing creative and innovative approaches to fostering student engagement and learning that transcends traditional boundaries, take risks, and explore ideas in new ways. Bufano has been involved with the world of circus arts for more than 30 years. The graduate from Ringling Bros. and Barnum & Bailey Clown College is also a performing musician and composer of circus music in a transforming industry.